If you're reading this, something's just not right - jobs or careers are unsatisfying, relationships are failing or nonexistent, or there are family problems. You're anxious, depressed, disconnected or even hopeless. Or maybe you'd just like to talk to someone who can give you more objective feedback. Does it work? It can work. It depends on many factors. A good fit between you and your therapist is essential, as is a feeling of comfort and safety. After that it depends on how willing you are to do the work to make the changes in your life you say you want. 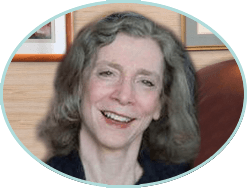 Please feel free to review my website to learn more if you are looking for a New York therapist. hearing each present a point of view about issues in the relationship, and moving towards understanding, compromise and harmony. A process of stepping outside yourself and looking in from a much deeper perspective. Though not for everyone, it's an opportunity to profoundly know yourself, without shame or guilt. Can get in the way of just about everything. Whether it’s simply dampening motivation and enjoyment of life, or so deep you can’t get out of bed, know that you don’t always have to feel this way. Anxiety exists in many forms: sometimes it’s acute, overwhelming and crippling. Or it can be more insidious, pervasive, free-floating and seemingly endless. What it doesn’t have to be is hopeless. You weren’t born feeling this way, but it probably feels like you were. We’ll try to understand how that came to be and work on substituting confidence and a positive sense of self-worth. Relationships are difficult to navigate. You may unknowingly be getting in your own way. We’ll look at how and why, and work on changing the interfering dynamics preventing you from having what you want. Therapy provides insight into and offers relief from your troubling issues. For a no-obligation consultation to see if we are a good fit and you feel comfortable working with me, please fill out the form below or call 212 228-2424, email katherine.rabinowitz@gmail.com or text 224 408-0680.